Exploring Europe may seem daunting at first when you’re looking for something new. There’s a lot to see but if you combine these travel tips with the right amount of adventure, it’s easy to visit Europe and come away with those special experiences. It’s one of the world’s most interesting, most historic continents. From the Mediterranean Sea in the south up to the Arctic, Europe may seem like a geopolitical mess these days, but it’s still one of my favorite places. There are 24 official languages spoken in Europe and 51 different countries (depending upon where you draw the borders). Planning a proper EuroTrip can be a challenge because of this diversity, but that’s what makes the continent so special and so unique. There’s just too much to see and do in Europe! There are the museums—from the Louvre to the Prado to the Tate. There’s the food—from the weird (haggis in Scotland) to the wonderful (just about everything in Italy). There’s the history, of course. Thousands of years of war and disease, but also of Renaissances and revolution. With so many diverse countries, there are bound to be problems, and yet somehow Europe works today. It’s a place where thousands of years of history creates tension between different peoples and different cultures, but by and large—this is a beautiful and cohesive place. And only more so because of the so-many differences that make Europe, well, Europe. 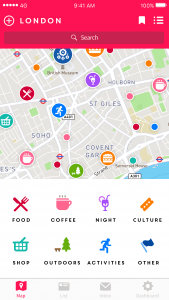 Discover the cool side to Europe with Cool Cousin – a new, map-based app which connects locals with tourists. Through the just launched app (currently in beta version), you can get to know a curated list of locals who each provide maps of their favorite hangouts—from late-night bars to secret foodie hotspots. The app currently works for travelers to London and Tel Aviv, with new cities launching in the next few months. Install the app with this link for free access. Trying to explore Europe for the first time can be a challenge. How do you decide where to visit? Do you go for the history from Rome and Athens, the art from Paris, the food from Italy? Europe’s diversity is what makes it so special, but it’s also what makes it so difficult to explore when you’ve only got so much time. Europe may be old and historical, but that doesn’t mean it’s also stuffy and boring. Countless articles have claimed Berlin the center of cool, not just of Europe, but of the world. The Biennale art shows from Venice to Germany are continuously challenging our historic notions of art and beauty. Paris and Milan still sit on top of the fashion world after designers around the world have tried to move the industry elsewhere. Hundreds of Michelin-starred restaurants and chefs work in Europe, from Spain to Slovenia—challenging our taste buds. Europe is cool. There’s no getting around it. But as a first-time explorer, how do you find the cool things to do in Europe? The choices are overwhelming. The easiest way is to start by knowing where to look—get yourself a good map, one that will help you discover the city. It’s important to know where to look, though and that’s where apps like Instagram and Cool Cousin come in. You can use these apps to pinpoint the coolest hotspots of a city (in fact, most of the Cool Cousin users connect their profiles to Instagram) and the map features make it easy to find the best area to stay. 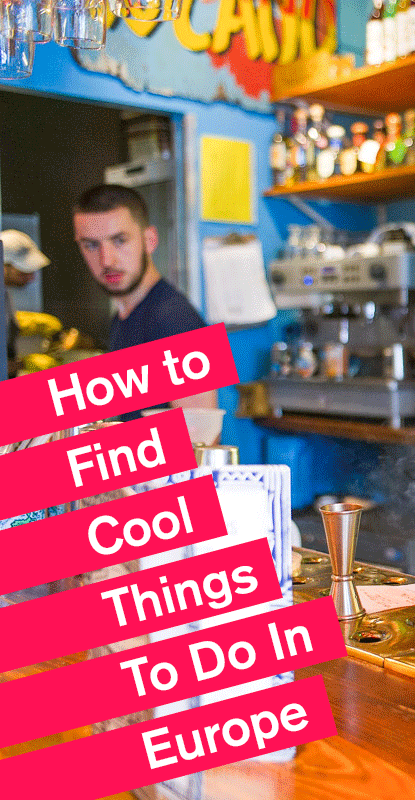 To find the coolest things to do in Europe, you need to know where and how to look… That’s why I’ve collaborated with Cool Cousin to come up with this guide on just how to find the cool things to do in Europe. Don’t be afraid to talk to strangers! Ask the guy or the girl at your hotel reception what their plans are for the weekend. It’s a great way to open up a conversation and find out a bit more about how locals spend time in their own city. And with so many social networks and apps available for connecting tourists and locals, there’s always someone willing to provide a travel tip. Try out the Cool Cousin app to connect with locals in an easy and friendly way – simply search the city you’re in for a local “cool cousin” by using the age, gender and interest filters. You’ll find a curated list of cool locals who are happy to provide travel tips and the app even includes their social media (Instagram and Twitter). But one of the app’s best features is the ability to message users directly so you can ask the tough questions like: where to get the best gluten-free cookies or what underground party to check out on Friday night. Sometimes the hardest part of discovering a new city is finding out what specific events and festivals are on while you’re in town. Luckily, there’s an easy solution. Just keep your eyes open while you’re wandering the city and pay attention to the posters and other ads around the city. Whether it’s live music gigs, festivals or other events—there are bound to be some posters advertising what’s cool to do. Just about every European city has its own free, local magazine – usually focused on cultural events. Some global brands like TimeOut even offer free versions of their magazines, such as in London or Tel Aviv. It’s a great way to find what’s on in a city—from the nightlife options to the visiting music acts and theater performances. Many cities even produce their own LGBT magazines which include directories on gay and lesbian bars, events, gay-owned businesses and club nights. Using these magazines you can get a good glimpse of what activities and events are on in a city. Besides the fact you get a different view of the city—one of the commuters and locals’ perspectives—it’s a good way to discover places further from the city center. In Rome, for example, you can take the metro out of the historic city center and explore the more recent history from the Mussolini era in Rome’s EUR residential district. In London, jump on a train to get out of the tourist-heavy area of Soho and go out to explore the East End, where food and flea markets offer a unique view (and taste) of the city’s history. For an extra bonus tip: make sure to pay attention to the advertising on the metro – sometimes you’ll discover events or festivals going on. This new app from a Tel Aviv startup makes planning a trip so much easier. The app features maps curated by real locals. Getting a real local’s perspective on their city by browsing their photos and personal recommendations makes it easier to find the coolest things to do and places to see. The maps are available both online and offline, so it’s a useful app to have when traveling and it even includes the ability to ask locals directly through the app for even more personal recommendations! The app currently works in London and Tel Aviv and is launching soon in Copenhagen, Rome, Milan, Moscow, Amsterdam, Istanbul, Barcelona, Prague, Stockholm, Budapest, Madrid, Berlin, Paris and Lisbon. One of the most popular travel tips—one you’ll find on just about every blog and guidebook—is to simply “get lost.” It’s a cliché by now, but it still holds true. Step into an historic European city center like Venice or the City of London and you’ll find hordes of tourists following familiar routes. But if you can break free from that flow by turning down an alleyway or taking a wrong turn, you never know what you might discover. Caveat: be mindful of your surroundings and only get lost when you feel comfortable to do so! And make sure you’ve got an app on your phone with a built-in map, such as the Cool Cousin app which works offline and features a curated list of a city’s coolest places. These days it’s pretty common knowledge that us millennial travelers are after more unique experiences when traveling–it’s not about seeing the top tourist attractions, but coming away from the holiday with some new knowledge or memorable experience. One of the best way to get those experiences is to visit independently-owned shops and cafes and make an effort to meet those locals. Visit the record stores, the used bookstores, the art shops and the cafes. Meet the DJs, the baristas, the local artists. And one of the best ways to meet them is by visiting their hangouts, whether that’s in these indie shops or online through apps like Cool Cousin. Get out of your comfort zone and make the effort to meet others. Pro tip! The Cool Cousin app features a curated list of the coolest people from each of their operating cities. 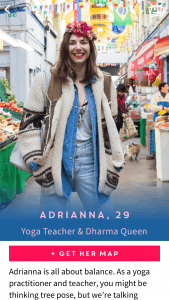 So, in London, for example, you can connect with a gluten-free TV producer who drives a motorbike or an anime-master who owns a Samurai sword. The best travel memories come from the best connections—it’s just a matter of connecting with the right people and the Cool Cousin app makes this step so much easier. Install the free app here. 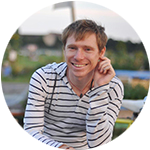 The Cool Cousin blog also features interviews from their local guides around the world. Exploring Europe may seem daunting at first when you’re looking for something new. There’s a lot to see but if you combine these tips with the right amount of adventure, it’s quite easy to visit Europe and come away with those special experiences. It’s just a matter of getting to know the right cities with the right people—those most closely aligned to your same interests. Note: This post was published with support from the Cool Cousin app. For more information, visit their website. Very good tips, I totally agree that talking to locals is the best way to find interesting things to do! Really a good and complete full information of travel tips.